A royal palace where grace, tradition and diversity stimulates every guests palette. Taj embraces the identity of Canada and serves all from far and wide. Our cuisine offers a vivid and true perception of India’s age-old spices, recipes and flavors. We offer dishes with origins from all across India to maintain our diversification ideology. Our aim is to provide quality food and service to maximize your experience with us. 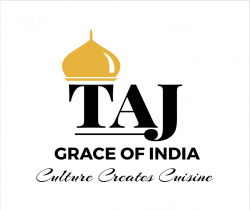 Please send your resume at tajgraceofindia@gmail.com.